Karen House : Jan. 19, 2019, 3:08 p.m.
UPDATE 1/22/2019 7 a.m.: The Dunlap Fire Department reports that the infant involved in the crash on Saturday has since been released from the hospital and is home with family. The child suffered only minor injuries. Our thoughts and prayers are with the family as they mourn the loss of the driver. 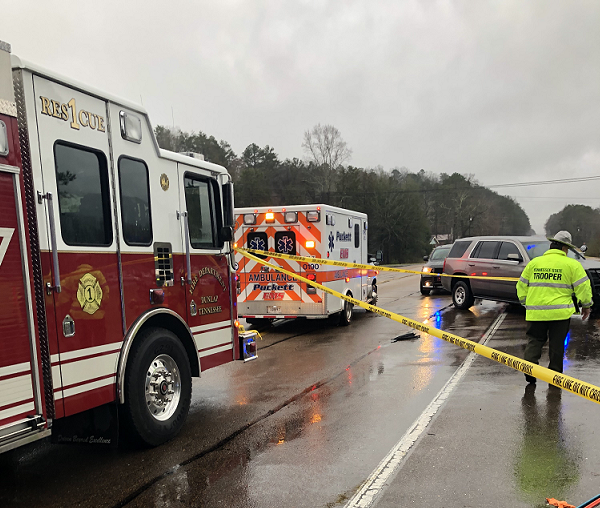 Jan. 19, 2019 – A 28-year-old Whitwell woman was killed in a one-car accident on TN 28 in south Sequatchie County Saturday morning. An infant girl who was in a car seat in the back seat was transported to Children's Hospital with unknown injuries. According to the Tennessee Highway Patrol (THP), Fallon N. Taylor was driving southbound in a 2007 Pontiac G6 sedan at about 8:38 a. m. when the car drifted off the right side of the road and traveled 75 feet before striking a tree head-on. Taylor was not wearing a seat belt. She was pronounced dead at the scene. 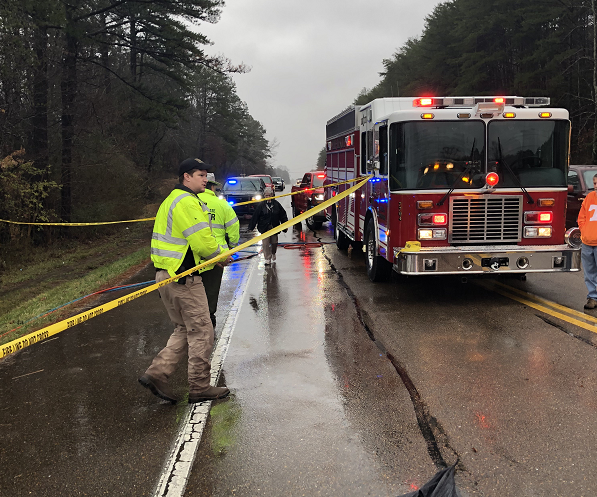 When the Dunlap Fire Department arrived at the scene of the accident, near Press Pickett Road, sheriff's deputies informed them that the occupants of the vehicle were trapped. The infant was removed from the car and given to Puckett EMS for emergency care. “It was determined that the driver was deceased,” a spokesman for the fire department stated. “The scene was processed by THP and the Sequatchie County Medical Examiner. Once processed, firefighters were able to extricate the driver. The THP is investigating the accident. Photos courtesy of Dunlap Fire Chief Norman Hatfield.